As an advertiser you spend a lot of time on your landing pages. You research best practices, constantly optimize and A/B test. You want to make sure you have an appealing landing page with the most relevant content. After all, a landing page is the first interaction your company has with a potential customer and first impressions are everything. But what about Thank You pages? They are the always-forgotten, yet equally-important part of your advertising strategy. A Thank You page is a page where users are taken after they complete an action you desire. The action can be filling out a form, downloading a whitepaper or completing a purchase. Whatever the action, you always want to thank the user. After all, it’s the polite thing to do. Ok, the user completed an action that you wanted and you thanked them, now what? Do the two of you part ways? Many advertisers simply thank the user for the action and end it there. But why? Why end it? I propose using the Thank You page as a means to reengage the user with more content about your business. Try adding some or all of the things below to your Thank You page and see how it improves your ROI. Special Offer: Encourage the user to come back with a special offer. It can be a free trial, a coupon or a special gift. Testimonials: Wow the user with testimonials. Let them see just how great you are! Social Media: Include links to your Facebook and Twitter. Entice the user to follow you by saying “follow us for special promotions” or offer compelling information. Cross Sell: Use your Thank You page to highlight other products or service you offer. For example, if a user filled out a form to get a free quote for window replacement make sure to mention that you also do shades and blinds. The same goes for a user that purchased a CPAP mask, for example. Highlight the fact that you also sell CPAP machines, parts and accessories. Cross selling is a great way to boost your ROI. Newsletter Signup: Give the option to signup for your newsletter. By signing up, a user enters into a long term relationship with you. Take advantage of that! I dare you to spend more time on your Thank You pages and take me up on my suggestions. You have a lot to gain and little to lose. Google AdWords remarketing campaigns are an excellent marketing tool. They offer businesses a way to segment site visitors and serve ads to them as they browse the sites within Google’s Display Network (which is most of the web!). 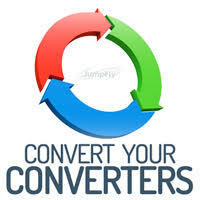 This means higher overall conversion rates and a chance to reach visitors who didn’t convert right away. 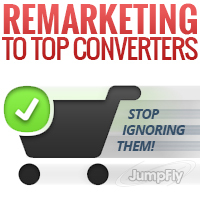 Many remarketing campaigns are set up to exclude previous converters. Ads are only served to users who have visited a site but haven’t bought a product, filled out a lead form or converted in some other way. If you are trying to get a user to take that initial action, excluding converters will make the audience more targeted. Ask for Referrals: In lead generation, a referral is typically more valuable since recommendations from friends help influence decisions more than ads. Creating a special landing page for referrals would help make this campaign even more targeted. Bring Back Repeat Customers: For ecommerce, past converters can be segmented by time of last purchase. Running campaigns against shoppers who have converted more than 30 days prior (or another time window) would be a great way to promote new offers and bring these customers back. Evaluate the Customer Experience: If you’re on a quest to improve your web site and customer service experience, remarketing to converters with surveys would represent a new opportunity to hear what their experience was like and what can be improved. Don’t forget the converters! This audience may prove to be just as critical – and often times even more critical – than the non-converters.